For over half a century, Oscar de la Renta has remained dedicated to classic forms, immaculate craftsmanship, and an unwavering attention to detail in the name of making women look and feel extraordinary. Under the creative direction of Laura Kim and Fernando Garcia, the house assumes a new youthful energy and cool confidence that freshly honors the founder's inimitable legacy and colorful joy for life. 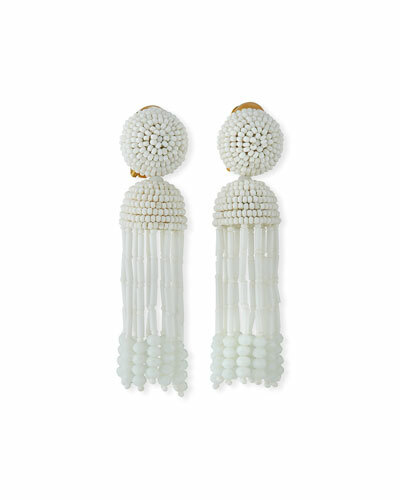 Oscar de la Renta beaded orbits earrings. Brass hardware with glass seed beads. 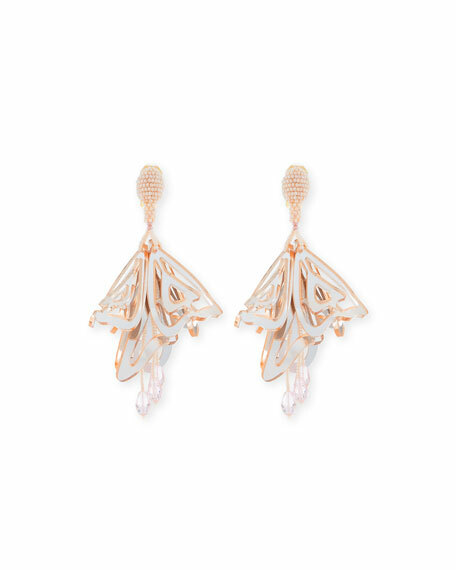 Beaded round posts with open drops. 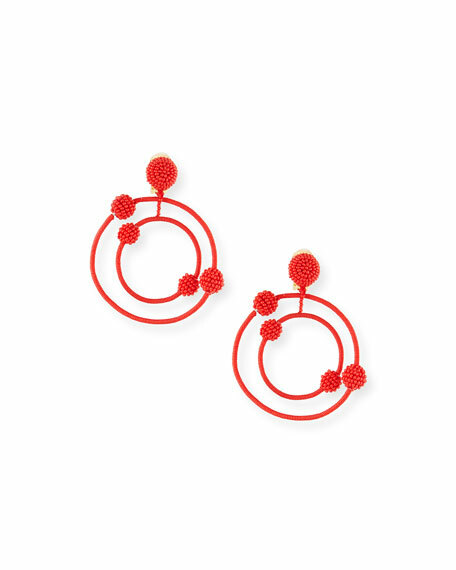 Multi-size hoop-drop dangles. Approx. 3.5"L; 3"W. Clip-on backs. Imported. 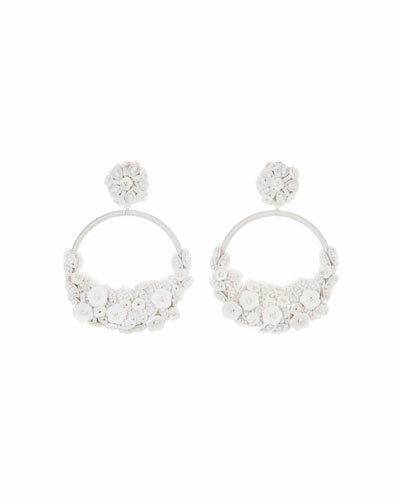 Falling flower cluster clip earrings by Oscar de la Renta. Glass seed beaded round posts with flower dangles. 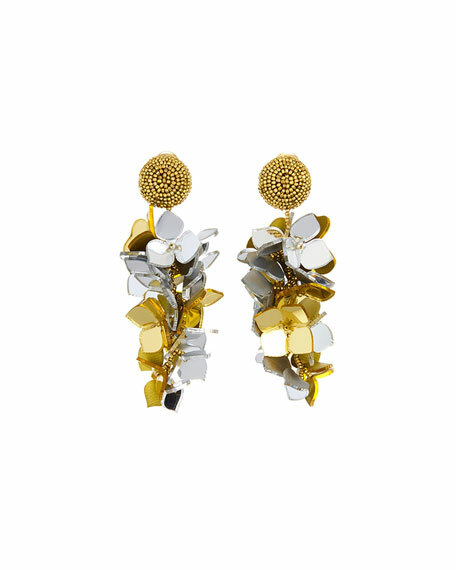 Golden and silvertone plastic plexi flower discs. 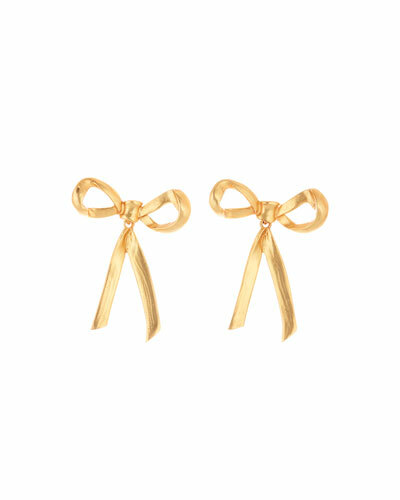 Clip-on backs. Imported. 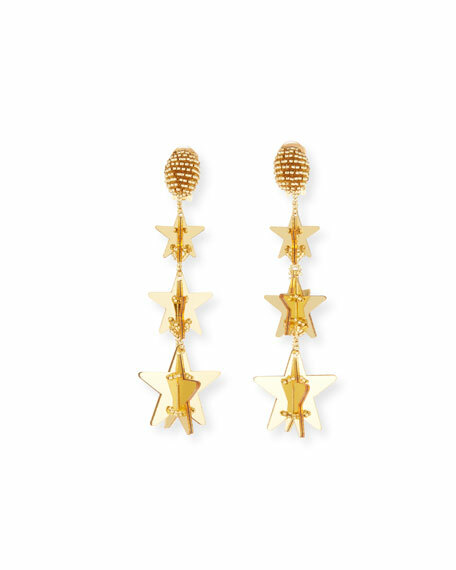 Oscar de la Renta falling star earrings. Yellow golden hardware and beads. Oval posts with glass seed beads. Three graduating star dangles. Approx. 4.5"L drop; 1"W. Clip-on backs. Imported. 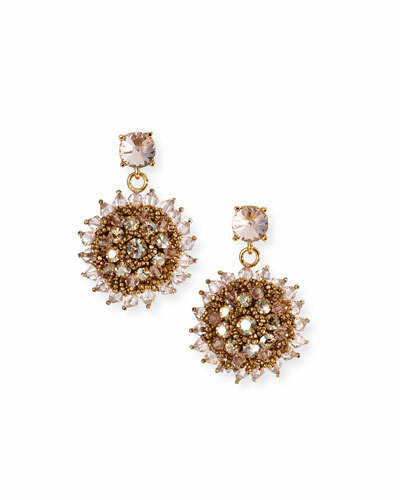 Oscar de la Renta impatiens-inspired drop earrings. 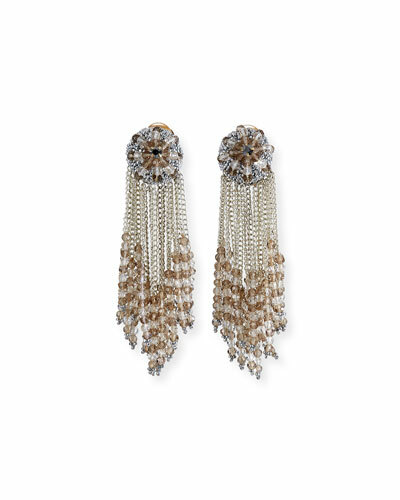 Beaded oval top and tassel drops. Layered petals create 3D floral silhouette. Approx. 4.8"L. Clip-on backs.